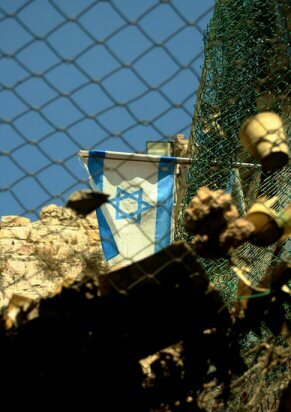 On Tuesday, 17th November, several groups of soldiers raided houses in the Wadi al-Hurriya neighborhood of al-Khalil, an H1 district legally outside of Israeli control. 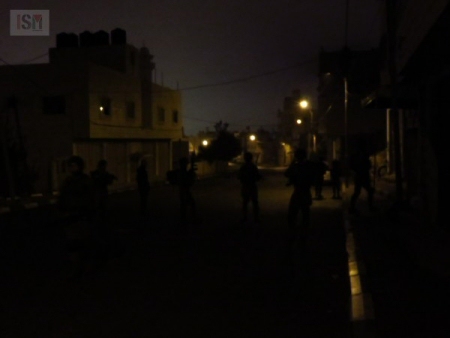 From 7.30pm, Israeli forces were present in the area, divided into groups of 7-12 soldiers and entering every house and business on designated streets. At some of the residences they entered by force, violently smashing through doors. Each group of soldiers patrolled different streets and dark alleys, checking each house and entering with backpacks, mapping equipment, bullet-proof vests, and cocked machine guns. On entering houses, 2-3 soldiers remained outside to “secure” the entrance, periodically pointing guns at passers-by and preventing vehicle and pedestrian passage through the streets. The residence is located within 500 meters of an army base and checkpoint bordering the H2 restricted area of al-Khalil. It was reported later from residents who were in contact with ISM that furniture and property was damaged on the night. This is typical of night raids on Palestinian houses, and in other incidences money and other property has also been stolen. While these raids have been used extensively in the al-Khalil district in recent weeks as part of a tactic of intimidation, it is unclear as to whether the policy of raiding the H1 district and squatting family homes will continue.